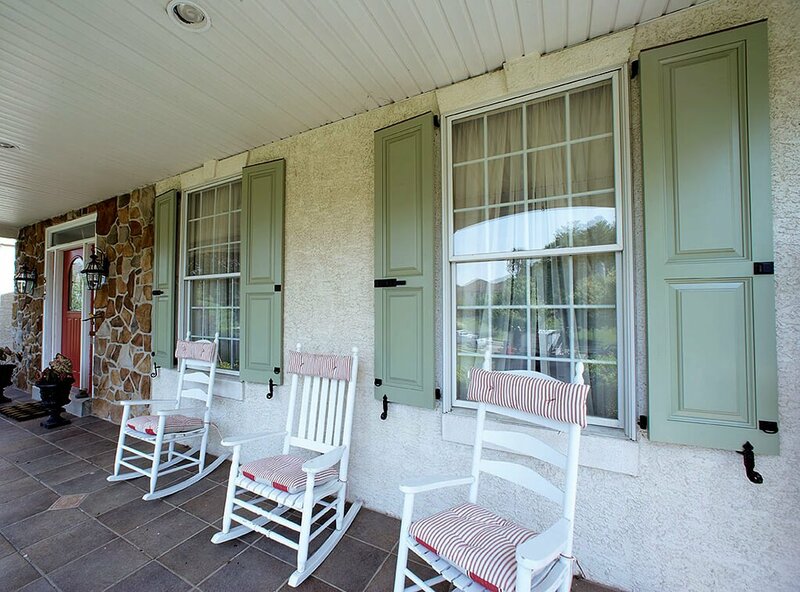 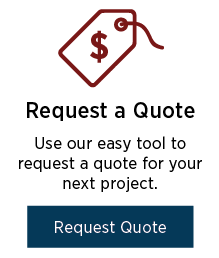 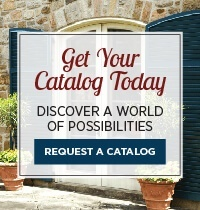 Shutters aren’t just for dressing windows – they can complete an outdoor feature or even a room! 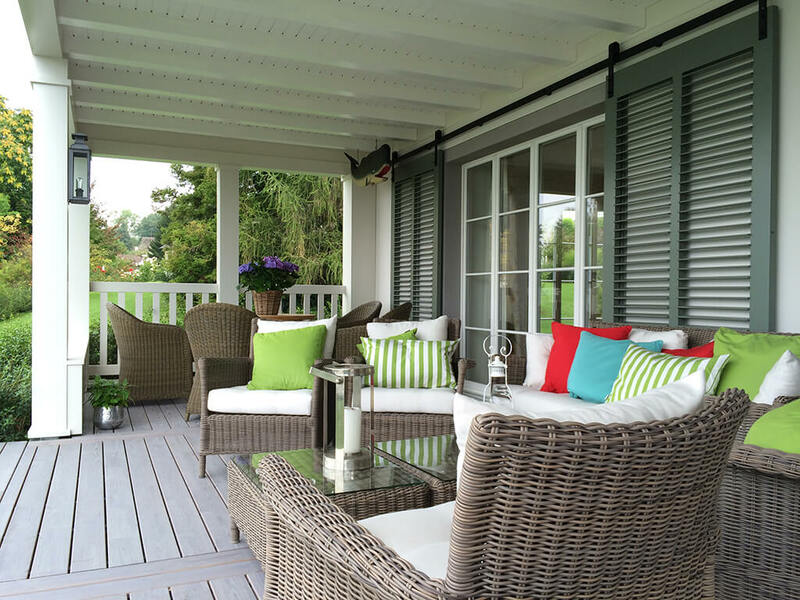 These photos highlight some of our favorite creative uses of Timberlane shutters: from livening up a porch space to completing an outdoor sitting area, your shutters can be customized big, bold, and surprisingly useful! 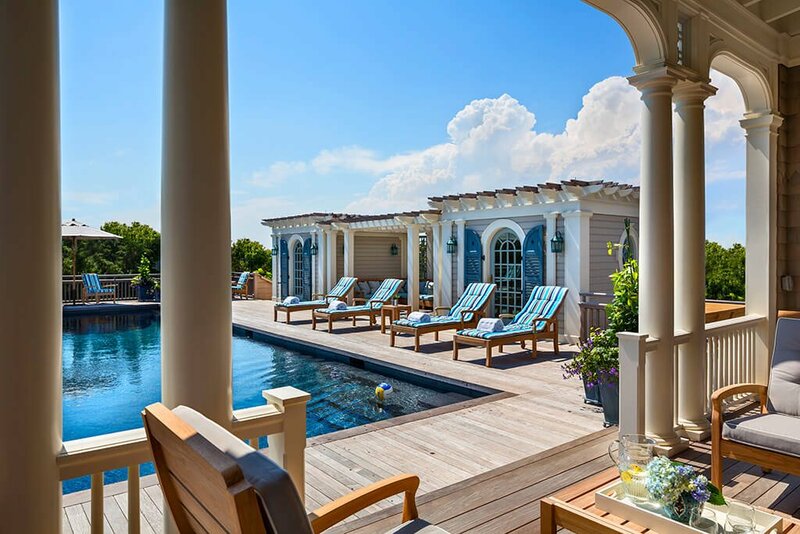 The poolhouse is completed with full-length, radius top door shutters sporting a 3-sectioned louver set on the bottom and a flat panel with v-groove and diamond cutout on top. 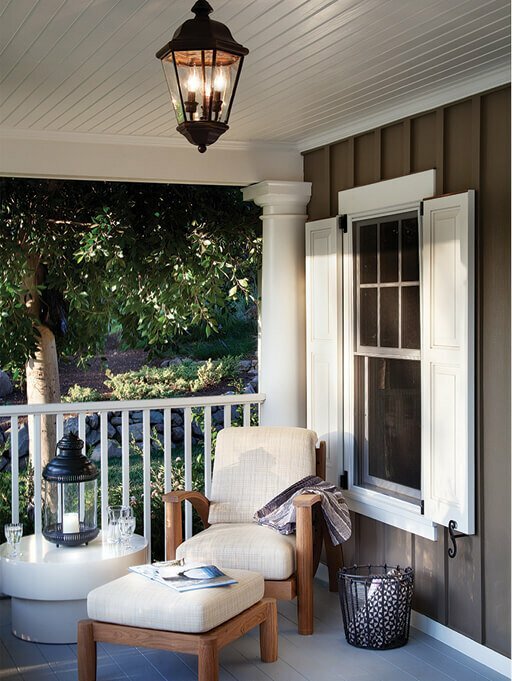 These white shutters featuring Shaker panels with bead trim and “S” Floral tiebacks truly complement this cozy, inviting porch nook. 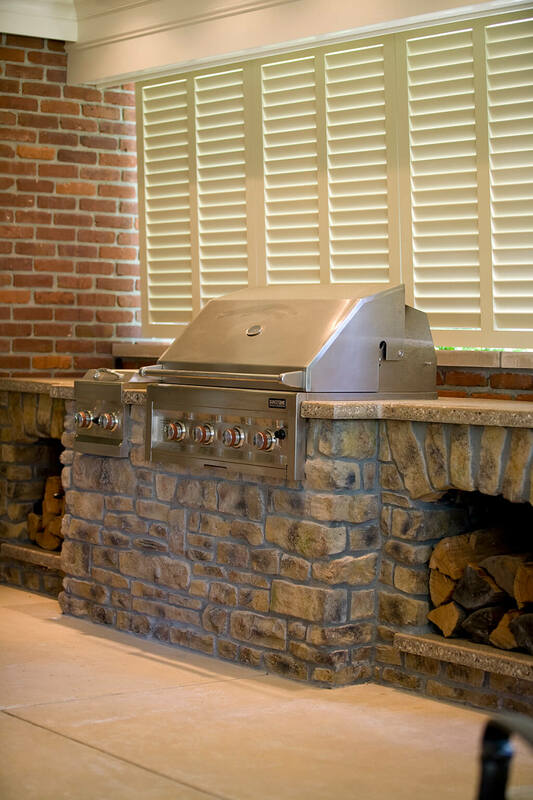 These white Bermuda shutters create a movable shade and privacy wall that completes this outdoor grilling and lounge space. 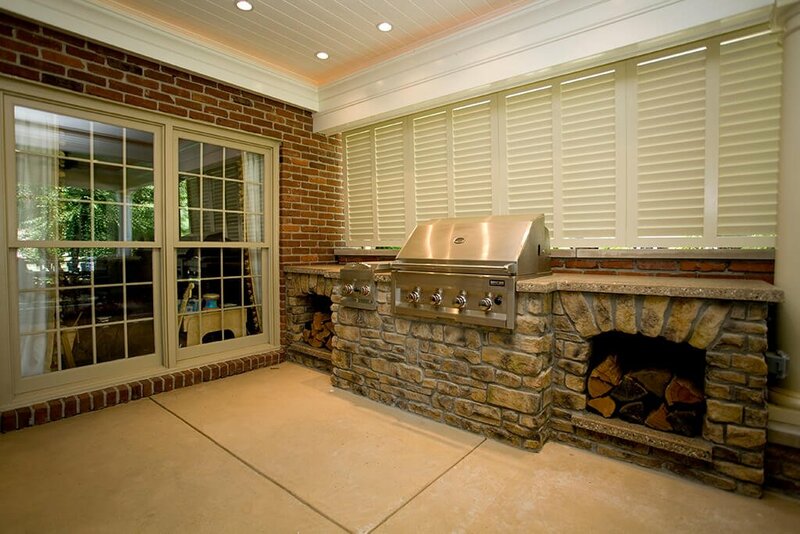 A unique application of our Bermuda shutters provides shade as a partial enclosure for this cozy outdoor living space. 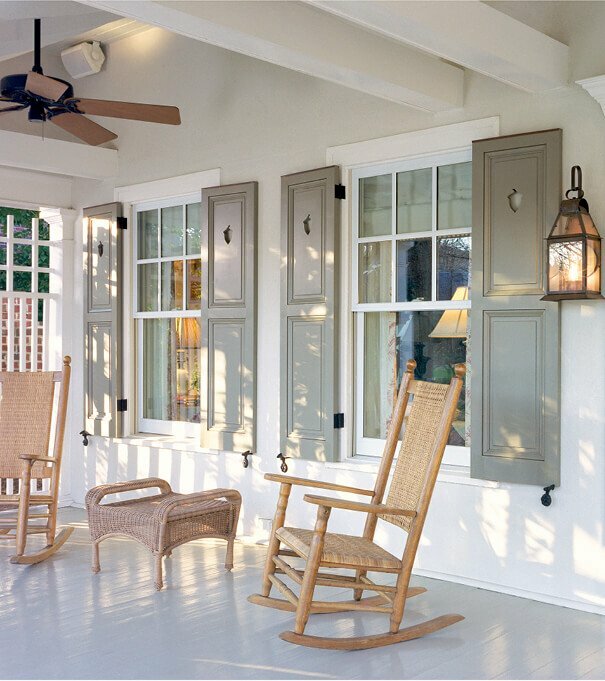 Bermuda Shutters provide shade to this outdoor porch while elevating the look of the exterior. 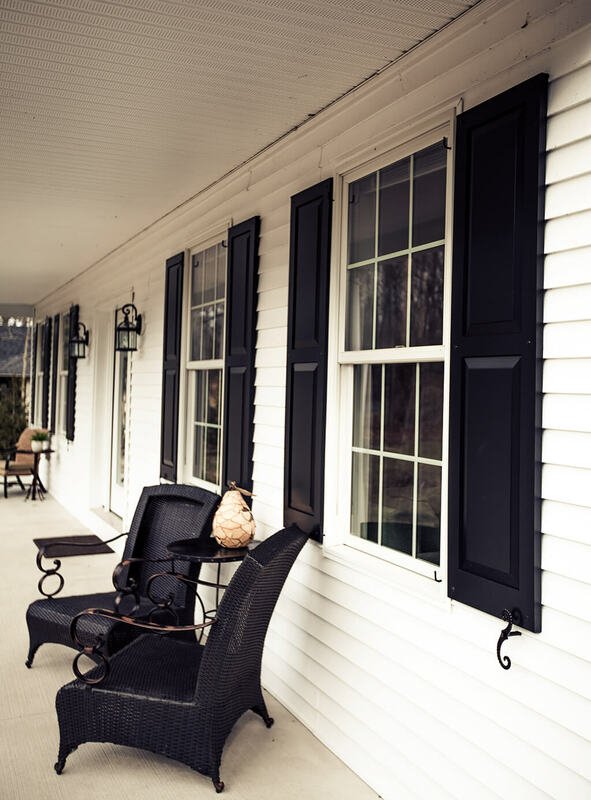 A fresh palette featuring coral details and cool neutrals goes perfectly with our Sage Grass recessed panel shutters, which are dressed with rat tail tiebacks, slide bolts, and pull rings. 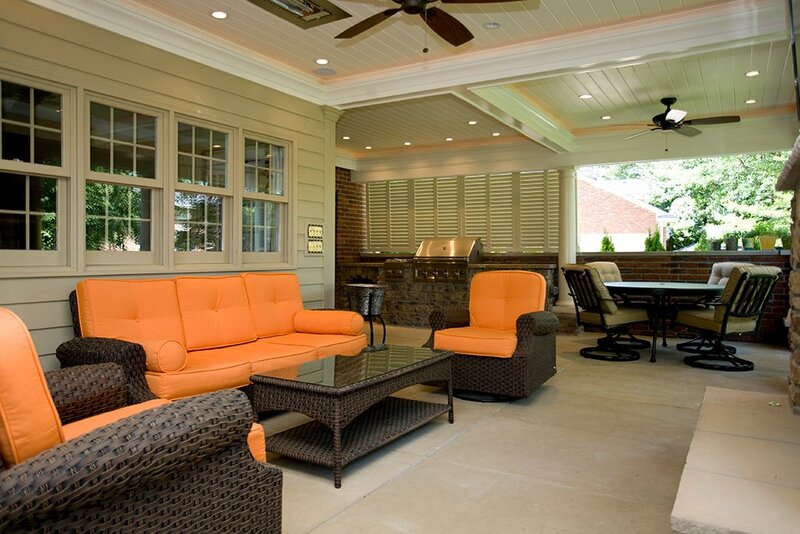 These gray panel shutters with custom acorn cutouts provide the final touch to complete this outdoor room. 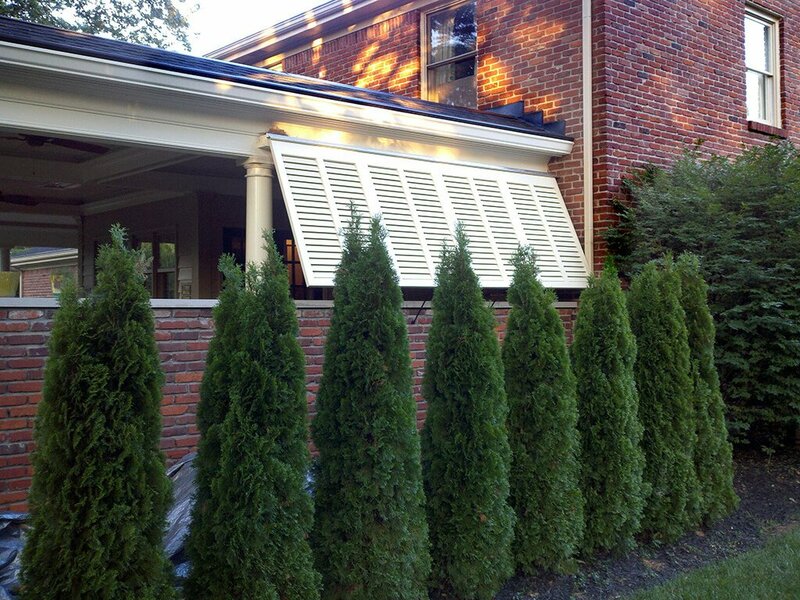 To finalize their patio, this home owner user black Bermuda shutters to provide shade in the sun and privacy from neighbors.